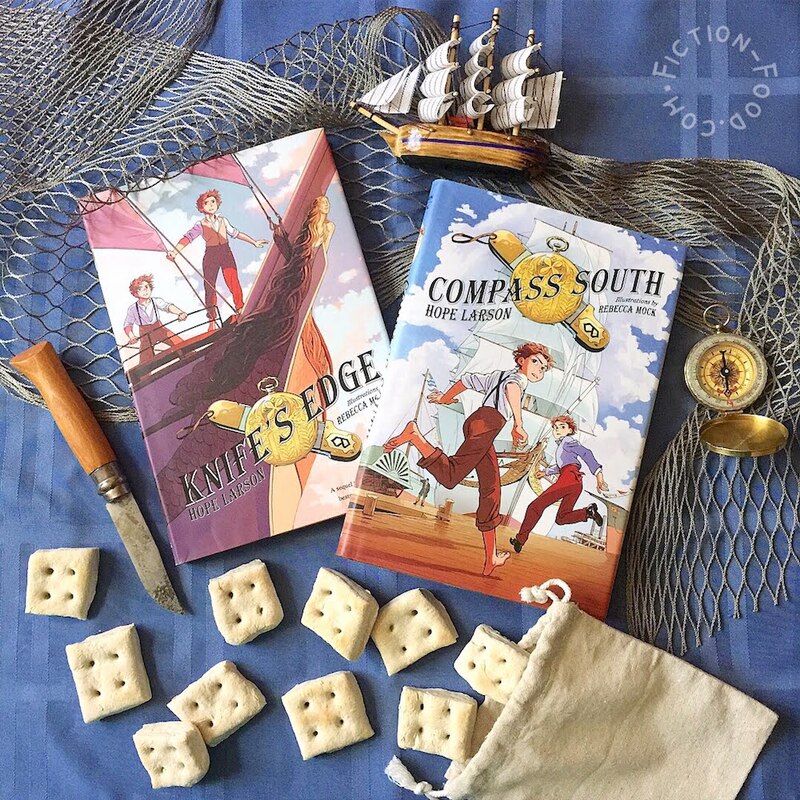 Compass South and it's sequel Knife's Edge follow 12-year-old twins Alexander and Cleopatra (Alex & Cleo) as they try to make ends meet after the disappearance of their father in 1860s New York, and the adventures and troubles they have along the way as they get tangled up in gangs and plots and pirates and treasure, sailing to New Orleans and beyond. The characters and story are very engaging (especially as Cleo chops off her long red hair and disguises herself as a boy), and I really love the art style. It's a great book for middle-grade readers (~8-12) on up. 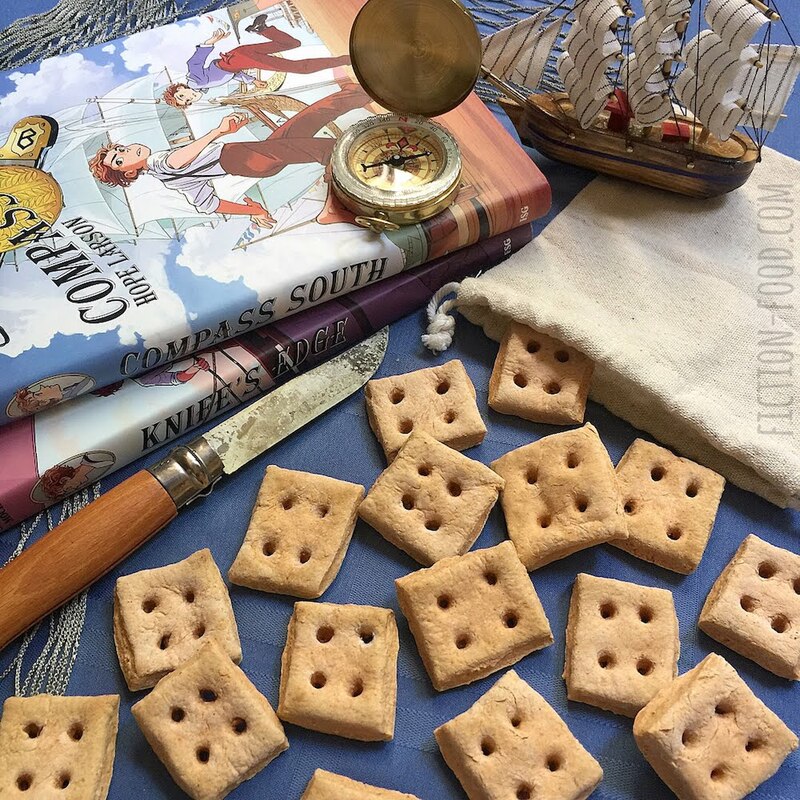 Compass South, written by Hope Larson and illustrated by Rebecca Mock, came out June 2016 through Farrar, Straus and Giroux. The sequel (and at this time, conclusion) Knife's Edge was released June 2017. 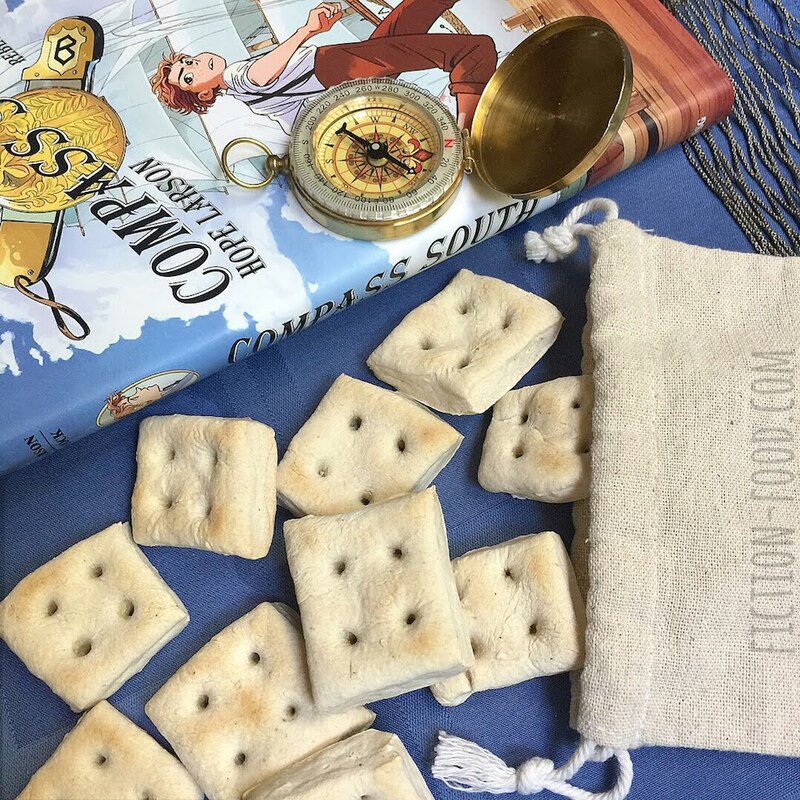 Hardtack, also known as ship's biscuits, sea biscuits, and more, is very simple and inexpensive to make and can last a very long time if kept dry. This made it perfect throughout history for prolonged military campaigns and lengthy sea voyages. 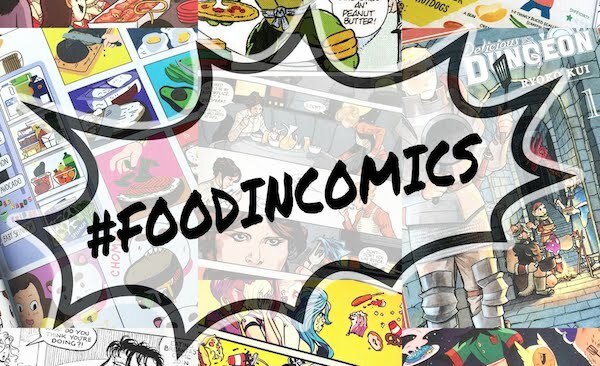 To eat it, sailors and soldiers would soften it by dipping it in coffee, water, or other beverage, or sometimes crumble it over other food that would be cooked to give it more substance. Heat your oven to 375ºF & line a large baking tray with parchment paper. In a medium bowl whisk together the flour & salt*, & then gradually stir in the water, small amounts at a time starting with 1/4 cup, until a dough forms that is no longer sticky (removing the dough from the bowl & kneading it helps if you need to add more flour). Flour a flat work surface & roll & shape the dough into a square between 1/4–1/2" thickness. Use a pizza cutter to cut 9–12 squares. Poke a few holes into each cut-out with a skewer or straw (I used a thick wooden candy apple skewer). Lay the pieces on the baking tray about 1" apart. Bake for a total of around 45 minutes, until slightly browned, flipping the biscuits over at about 20 minutes. Remove from oven & let cool. To eat, dip in water, coffee, or tea, or other liquid to moisten. You can also crumble them to cook with other foods. Store in an airtight container or ziplock baggie for years! 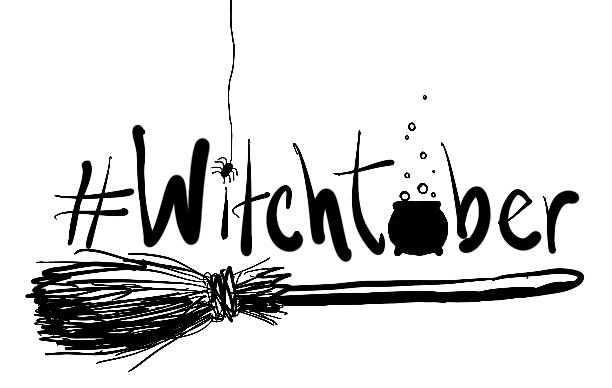 * You can whisk in some dry seasonings if you'd like, like dried herbs, pepper, garlic powder, etc.